Bats have been exponentially declining since 2006 because of fatal white-nose syndrome and wind turbine fatalities. Scientists believe that the bats confuse the wind turbines with trees. In 2015, the American Wind Energy Association (AWEA) trade group announced that it'd be making "voluntary guidelines to halt turbines at low wind speeds, when bats are most active, which would save lives," reports Scientific American. The trade group proudly announced that the new measures would reduce bat fatalities by 30 percent. But bat advocates argue that if the industry can hold "the blades in check just a little longer," it can reduce bat deaths by an astonishing 90 percent. Scientists are pushing AWEA to listen to decades-worth of science by implementing two minor changes that'll massively impact bat conservation: 1) feathering, or "turning the blades parallel to the wind so the turbines do not rotate," and 2) implementing higher cut-in speeds, ideally between 5 and to 6.5 meters per second. The American Wind Energy Association (AWEA) has made some positive changes. 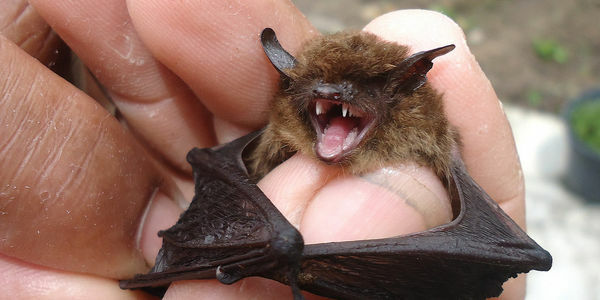 Sign and share this petition urging AWEA to keep standing up for the bats in a meaningful way. Why reduce bat fatalities by 30 when the industry can reduce 90 percent (or more!) by making some tweaks?